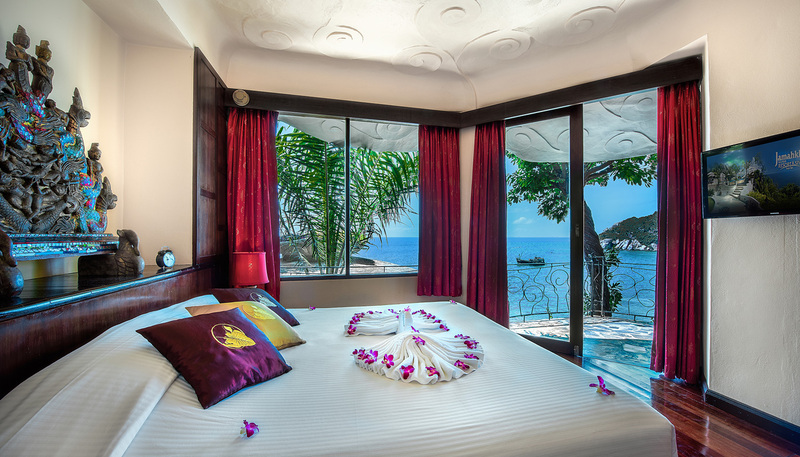 At Jamahkiri Resort and Spa guests can select beautiful Deluxe Rooms from our seaside hotel, delightfully appointed with pink flowers flowing down to the blue waters of the gulf of Thailand. 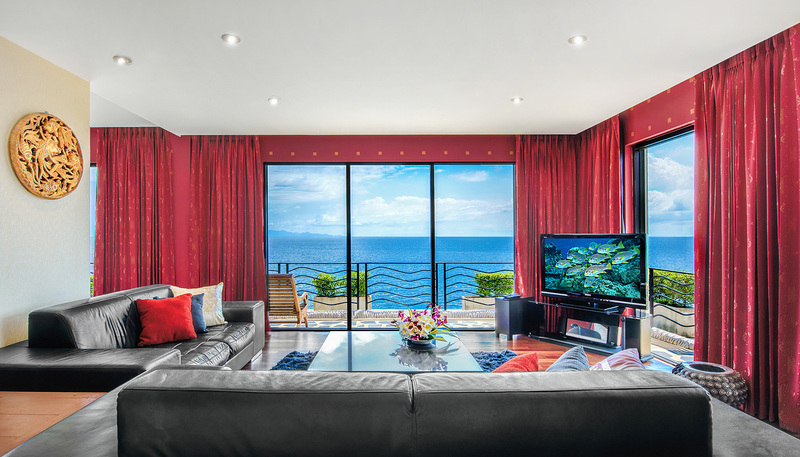 Or, our unique pavilions individually designed and decorated with comfort and elegance in mind. 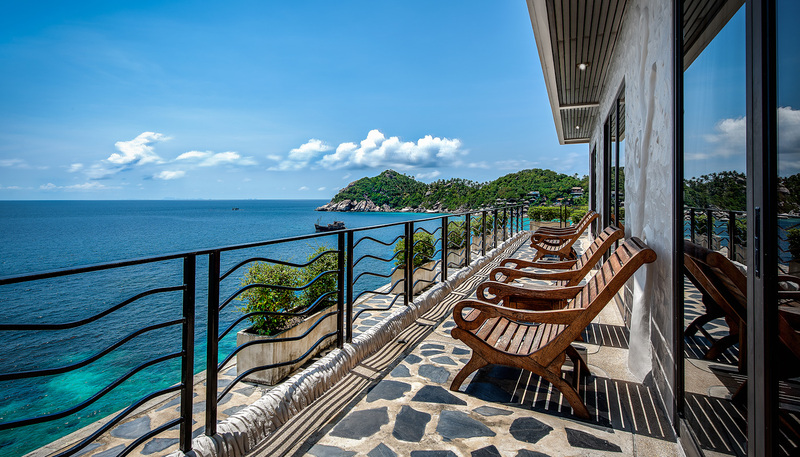 Our resort offers boundless ocean views and the comfort, the architecture of the resort combines space, color, and natural light with traditional Thai design themes to create a sense of harmony with nature.